You may enjoy a total of around 4.600 kilometres perfectly maintained bike paths during your bicycle holiday South Tyrol, which are ideal for both beginners and experience cyclists. Although the regions Merano & Environs and South of South Tyrol are preferred locations for many cyclists, ever more guests discover the beautiful advantages of a cycling holiday Castelrotto. You will be amazed by the picturesque surrounding of Castelrotto with its impressive panoramic views over the Alps, which you can easily discover while riding your bike. 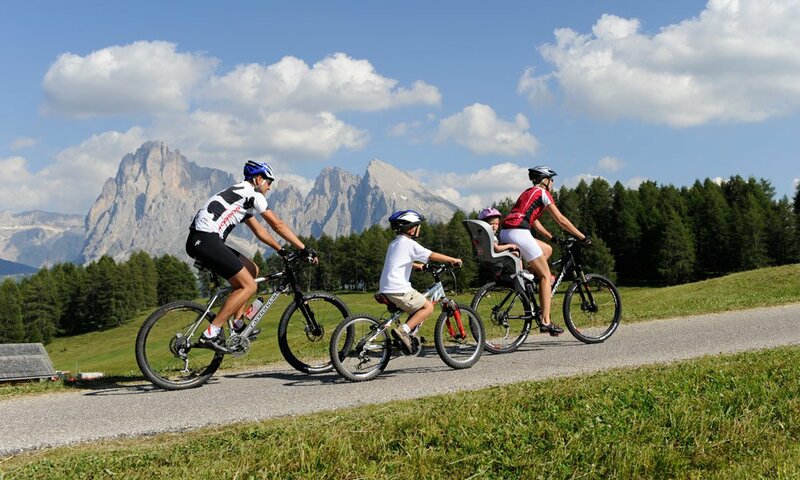 Castelrotto offers you everything you can wish for a fantastic bicycle holiday Alpe di Siusi. Especially mountain bikers appreciate discovering the Alpe di Siusi by bike! Riding through a breath-taking mountain scenery at 1.680 meters above sea level on the largest alpine plateau in Europe is something you don’t experience every day. Some of the trails will lead the riders in even greater heights from where you can enjoy the superb view over the Alpe di Siusi in all it splendour. 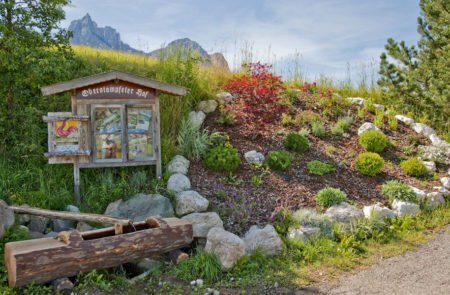 During summer time, when the alpine meadows are covered by blossoming flowers, this sight will be truly enchanting.